MADRID — Real Madrid has reached a deal to sign Spain right back Alvaro Odriozola from Real Sociedad. Madrid says the six-year contract is pending medical tests by the 22-year-old defender. 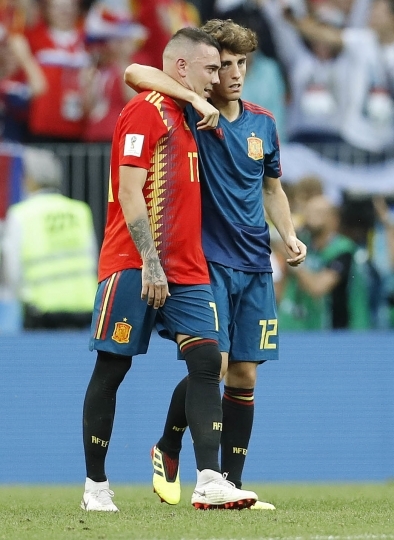 Odriozola was with Spain at the World Cup but did not participate in any of the four games played by La Roja. Spain was eliminated by host Russia in the round of 16. Madrid's other right backs are Dani Carvajal, who also was in Russia with Spain, and Achraf Hakimi, who played for Morocco at the World Cup. Financial details of Odriozola's transfer were not immediately disclosed.